Retail Availability - Saturday, 8/25. 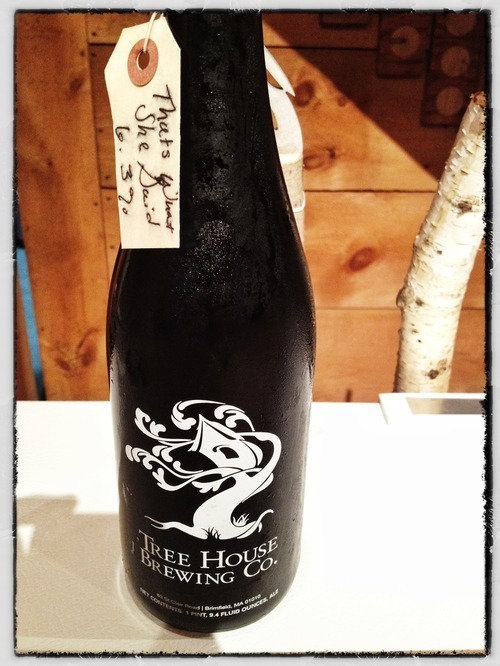 — Tree House Brewing Co.
Retail Availability - Saturday, 8/25. Please ignore Jonathan’s writing. TWSS is 5.6%. She’s not so boozy. That’s What She Said - Old faithful is back and she’s pouring gloriously. 5.6% ABV, 22.9 IBU’s. Rapture - Dirty Water’s bigger, meaner brother. 5.0%, 34 IBU’s. Cleona - Our Irish Red. Big, rich, and malty. Tasty for a cool evening. 5.6%, 20.2 IBU’s. Nothing hoppy? Gasp. Green is on deck! Weather should be killer.